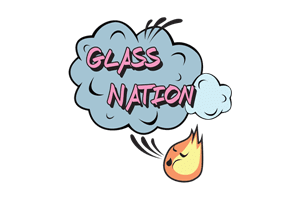 Glass Nation is proud to offer a vast selection of high quality animal glass pipes. If you are looking for a hand pipe with an animal print or a cute pendent with an animal than this is the place for you. Having animals on pipes is a classic. Everyone wants a cute little animal on their glass art. There are all sorts of animals that glass artists put on their glass pipes, dab rigs, and water bongs. I have seen everything super cute pandas on a dab rig to snakes on a hand pipes. However, nature and animals are often represented in art. Glass art is especially beautiful with animals.